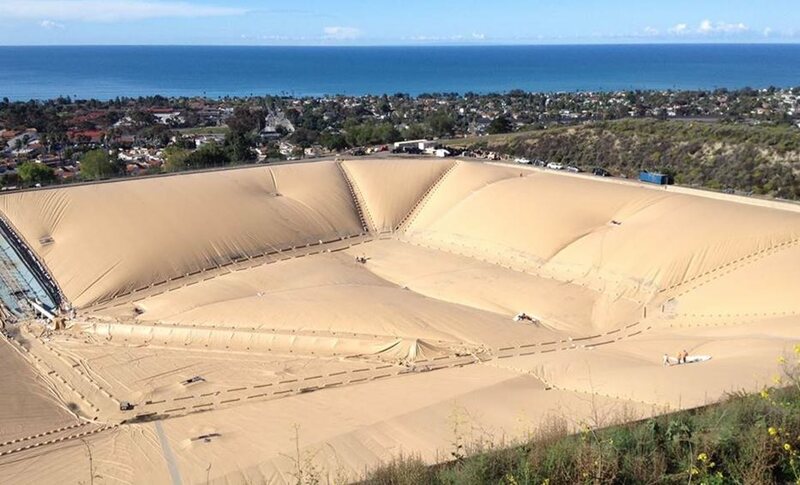 Layfield has provided floating covers for the storage of potable water for many years. We have been active in potable ponds. We design, fabricate, install, and maintain all sizes and styles of floating covers. Layfield recommends CSPE for floating cover material for potable water applications. Our featured products for potable water include our new Geoflex line of geomembranes. This material has the flexibility to be made into small tanks and has the chlorine resistance needed for potable water service. We also feature ou r Aqua Guide baffle curtains which are used in clear wells to promote plug flow and to increase chlorine contact time. Layfield also designs, fabricates, installs, and maintains all types of floating covers to help you maintain water quality for your users.In drinking water treatment applications baffle curtains　are placed in clearwells and reservoirs to increase the contact time of chlorine with the water.